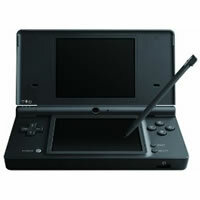 Nintendo DSi Preorders Now Available! Just released at a variety of stores, the Nintendo DSi which has sold record numbers in Japan, is now available for Preoder at Amazon. The unit is coming out in two different colors, Matte Black and Matte Blue with a price tag of $169.99. The unit is projected to be released on April 5th, 2009. This release date is much closer than the earlier anticipated release of Summer or Fall of 2009 here in the US. I wander if Nintendo pushed up the release date to take advantage of the strong dollar? Makes sense to me that you would choose to do this when you can clearly make more per unit now. If you want to see all the available preorder options for the DSi, please head over to the NowInStock.net DSi tracker. I have just set up the Nintendo DSi preorder tracker. Sign up for the free alerts and as soon as my spiders find preorders available NowInStock.net will alert you. This is the first time I am trying to find preorders without product specific URLs so please understand it may be open to errors. While the DSi is not expected to release until Summer or Fall of 2009 in the USA and Spring 2009 for UK & Europe, there is no reason why we can’t get a step up. If you would like to sign up for DSi preorder alerts, visit the Nintendo DSi Tracker or if you are in Europe & the UK, check out the UK Europe DSi Tracker.